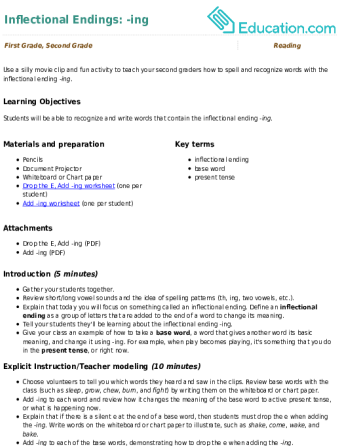 Throughout the English language, spelling patterns exist. These patterns are tricky for a child to spot at first. 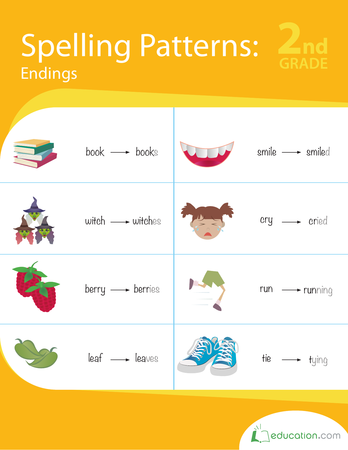 Fortunately, teaching spelling patterns is a lot easier with Education.com’s worksheets, in addition to activity and game ideas. Shine a light on words with similar spelling for your students, and reinforce that new knowledge with a learning environment that keeps education entertaining. Get to know the "at" word family with this assemble-yourself mini book. 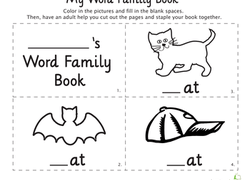 Kids practise using homophones in this fill-in-the-blank worksheet. 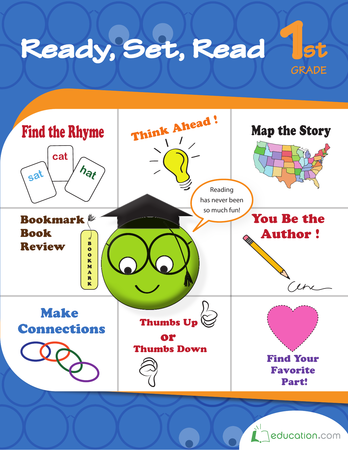 Improve your second grader's reading fluency by helping her practise reading and recognizing ea words. 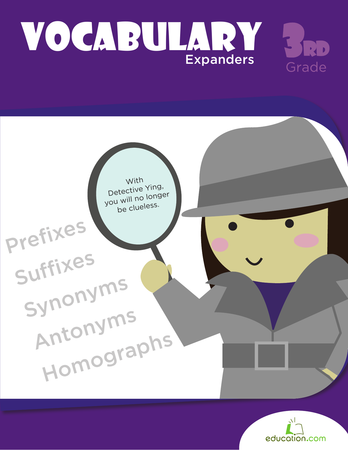 Use this resource to assess your students’ mastery of grammar concepts, such as possessives, nouns, verbs, and agreement in sentences. Is your second grader learning her vowels? 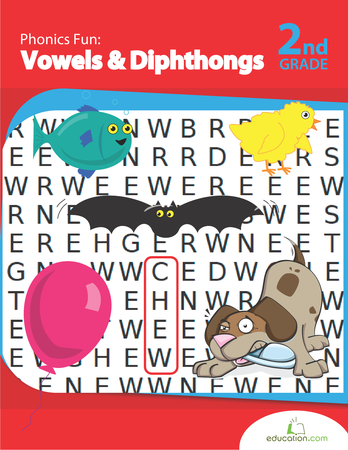 This worksheet helps kids recognise long-vowel patterns and spell them correctly. 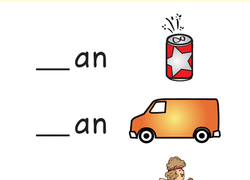 Use a silly movie clip and fun activity to teach your second graders how to spell and recognise words with the inflectional ending *-ing*. Students will practise real world organizing as they learn how to alphabetize the classroom library. Spelling has rules, but those rules are often broken. Luckily, certain spelling patterns exist that make practise easier. 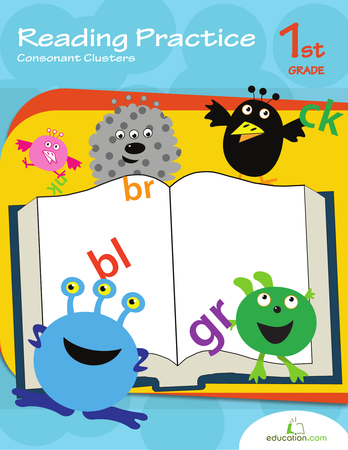 The Learning Library contains specially crafted spelling pattern resources for all elementary grade levels as well as prep lessons for preschoolers. There are hundreds of printable worksheets, lesson plans, and engaging online games for base members. 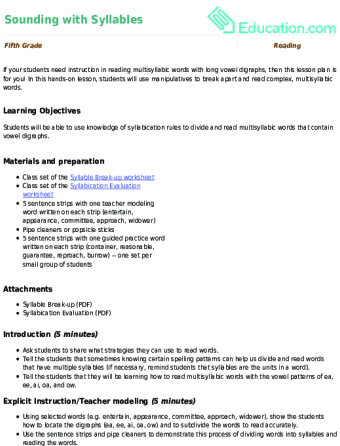 Premium members can access additional tools such as printable workbooks and guided lessons. 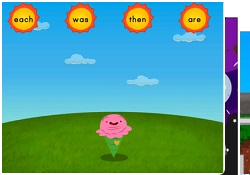 Some of the enticing online games focus on phonics, such as Bossy R Words, which helps second graders understand how short vowel sounds can drastically change when connected to an R. Another game facilitates consonant clusters practise, which can be slightly more confusing than vowel sounds. 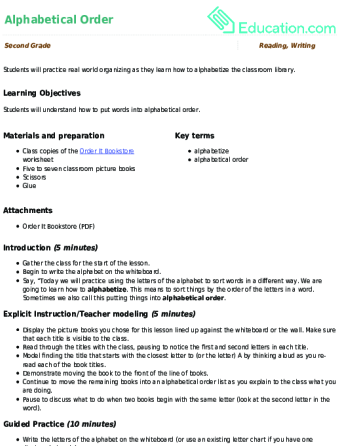 There are plenty of skills-based practise worksheets, too. 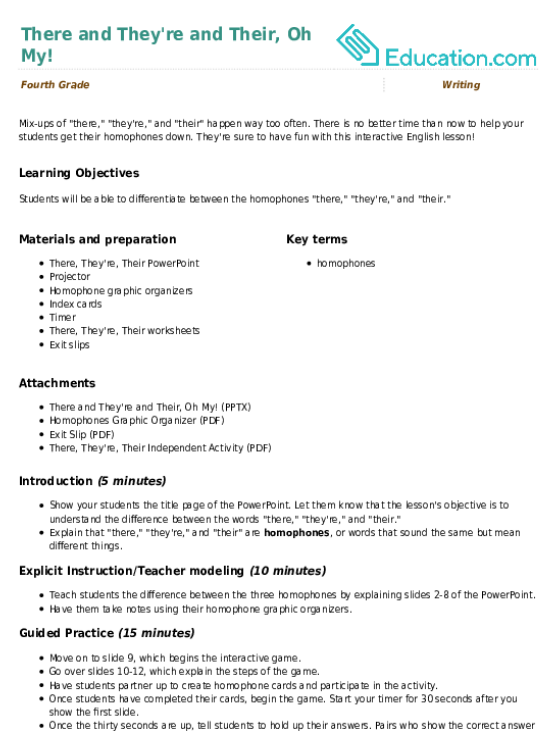 Many of the printable worksheets centre on specific word beginnings such as ""ch"" or ""wh"" or endings such as ""–ed and ""–ing."" Practical assignments for older students examine tricky spellings and confusing homophones. 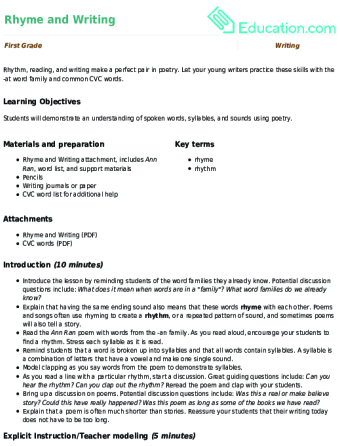 The library also includes a variety of carefully organized lesson plans that give educators step-by-step instructions for a comprehensive teaching experience. Some lesson plans break down parts of words like onset (the letters before a vowel) and rime (everything that follows) to teach rhyming. Other assignments consider irregularly spelled words or blending sounds. 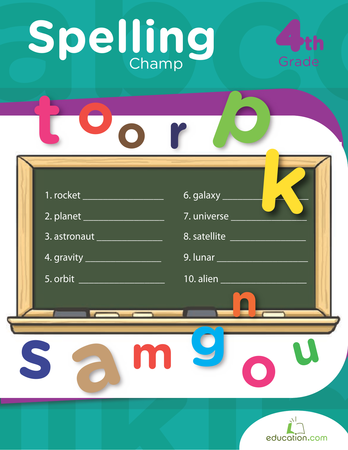 There are many other spelling pattern tricks found in the Learning Library that kids can keep in their back pocket for when they come across new complicated words.